Tuition is based on monthly hourly rate for a 10-month program. We offer three (3) payment options as follows. OPTION 1 - Tuition paid in full for the year will receive a 10% discount. Full payment MUST be received by August 31 to be eligible for discount. OPTION 2 - Consists of two (2) semi-annual payments due at the beginning of each semester and will receive 5% discount. Payments must be received by August 31 and January 31 to receive discount. OPTION 3 - consists of ten (10) equal payments beginning in August and ending in May. There is a $5 processing fee each month added to tuition. Tuition remains the same regardless of the number of weeks in a month or holidays. Tuition is non-refundable and non-transferable. Excused absences may be made up in another class at the same level or lower. Tuition is not adjusted for student absences. For prolonged illness or injury verified by a doctor's certificate, please schedule a meeting with the registrar. Payments can be made online by Visa, MC, Discover or AmEx (3% transaction fee), or in person by cash, debit or check. Tuition is due on the 1st business day of the month. Payments received after 10th of the month will be incur a late fee of $15. Accounts that remain unpaid will incur an additional $25 late fee on the 30th of the month. A separate charge of $35 will be added for any returned checks. Student's with outstanding accounts will not be admitted to class. Placement at The Ballet Academy of Central Florida is based on a student's strength, commitment, attendance, maturity and, mastery of material and artistic development as assessed by the Instructor. A student's ability to execute the required material is considered above all else, including age. Parents and students should not anticipate annual level advancements. Ballet classes do not progress at the same pace as traditional academic grades. It is common for students to repeat levels of study. Because the range of the criteria for promotion is so diverse, it may be two or more years before a student is ready for advancement to the next level of study. Students are being evaluated on an ongoing bases, if you want your student re-evaluated you must contact the Front Office to schedule a class. There is $35 fee with no expectation of advancement. Add/drop forms must be approved by the instructor and forms are available from the front office. Schedules can ONLY be amended during the 1st 6 weeks of the session (Aug 13-Sept 29 and Jan 7- Feb 15th) unless the request is recommended by the instructor. Forms are available in the front office. Should a student need to withdraw from a class or from the school for any reason, the Registrar must be notified in writing or via email. NO EXCEPTIONS. Students who do not attend class for 3 consecutive weeks without notification will be administratively withdrawn from the Academy. Students are expected to attend all classes and rehearsals. Progress and advancement depend on consistent participation. If a student is unable to attend a class or rehearsal, the student or parent needs to complete the absence form online PRIOR to the time of the scheduled class or rehearsal. Classes must be made up within three weeks of the absence. Excused absences can be made up the following ways: same level if offered at a different time; or a lower level. Prolonged illness or injury will be addressed on a case by case basis. Please do not drop students off more than 15 minutes prior to class. Picking up your child 15 minutes or more after the class ends will result in a sitting fee charge of $15 per each fifteen minutes. **Parents are permitted to wait in the lobby during class however we ask that you please respect our facility and it's space limitations by supervising your child(ren) at all times, speaking in a quiet manner and behaving appropriately. Crying/hyper child(ren) will be asked to step outside as it is disruptive to classes in progress. Please make an appointment at the Front Desk to discuss any concerns you have and any necessary meeting will be coordinated. We ask that you not approach staff members during the busy times before, during, and after class as well as during their personal time out of the Studio. Each family enrolled in the school is required to create an online parent account. Statements, notices and studio information will be update in parent portals and it is each family's responsibility to check their account for important information weekly. A notice board is located in the lobby and should be checked weekly for class updates, upcoming events, etc. Private lessons are supplemental and should not replace regular class attendance. Fees for private lessons are determined by the teacher giving the private lesson and vary between teachers, request forms are available online and in the front office. Studio rentals are not confirmed until payment has been made. Studio rentals for Academy students are $15/hr and $10/hr for Studio Company members. Priority will be given to students preparing for CFB sponsored events and graduating Seniors. •	All students must wear cover-up clothing while entering and leaving our building for class, rehearsal, and performances. Dance shoes are not be worn outside of the studio, bring extra shoes. •	Students must always attend class/rehearsal in their class uniform. •	Promptness to all classes/events is a must. Students who are late should wait at the studio doorway for permission to enter. A student arriving more than 20 minutes late will be asked to sit and observe as a safety precaution against injury. •	Students are not allowed to hang on the barres, talk to other students while class is being conducted, chew gum, or eat in class. Students may not sit down or leave class without permission. •	Students should attend to their personal needs prior to class. •	Students are expected to behave with politeness, respect, and courtesy towards faculty, staff, and peers. •	Students are expected to clean up after themselves and not leave food, water bottles, wrappers, bandages, clothing, etc in the lobby, bathroom, studios, or shared areas. •	All students are expected to conduct themselves in a safe and responsible manner. BACF reserves the right to dismiss any student whose attitude or conduct is deemed disrespectful or unsafe. Under these circumstances a refund will not be issued. •	Any student found to be under the influence of alcohol or drugs will be subject to immediate dismissal. •	Parents are responsible for supervising all siblings, and everyone is responsible for keeping the facility clean. I understand that dancing and dance classes constitute social/athletic/physical activities and that injuries may occur. I am willing and able to accept full responsibility for my child's safety and well-being. I understand that good ballet training involves touching and adjustment of the student's body by the instructor. Acknowledging this, I hereby release and agree to hold harmless The Ballet Academy of Central Florida and its employees from any and all claims and liabilities, which may arise out of my child's participation. I hereby irrevocably consent to and authorize the use and reproduction by The Ballet Academy of Central Florida of any and all photographs, recordings, videotapes and/or other reproductions of likenesses of the child's person or characteristics for any purpose, whatsoever, without compensation to the student. All reproductions shall constitute the property of the school, solely and completely. Further, I assign and release all rights to said reproductions and authorize the school, or others authorized by them, to exhibit, broadcast, and/or distribute or otherwise further reproduce said reproductions in whole or in part over or in any medium whatsoever, including, without implied limitation, newsletters, radio, newspapers, closed circuit television, film, cable and television, with or without compensation in perpetuity. I/We also release, discharge and agree to hold harmless the producers or any persons, or entities acting under their permission or authority from any liability arising from the use of said reproductions. 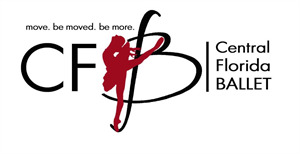 I have read, understand and agree to comply with all policies and procedures of The Ballet Academy of Central Florida. It is understood that the student is enrolled for the entire session; no deductions or refunds will be made for absence or withdrawal, voluntary or involuntary.